Ask For A Raise? Most Women Hesitate In the face of a persistent gender pay gap, researchers are focusing on this: Women don't ask for more money. When they try, it often backfires. A series of new efforts seek to coach women on the art of successful negotiating. There's even a Girl Scout badge to encourage girls to ask for more. When it comes to negotiating a raise, women often don't try. When they do, it can be seen as aggressive or demanding. In the face of a persistent gender pay gap, researchers and women's advocates are focusing on one little-discussed part of the problem: Women simply don't ask for more money. There are many reasons why, despite widespread gains in the workplace, women still earn on average about 78 cents to a man's dollar. But the failure to negotiate higher pay is crucial. Research shows men are four times more likely than women to ask for a salary raise, and economist Linda Babcock of Carnegie Mellon University says this has a snowball effect. Even a small pay boost will mean bigger annual raises and possibly bigger bonuses and it will carry over to a new employer, who is almost certain to ask: What was your last salary? "I tell my graduate students that by not negotiating their job at the beginning of their career, they're leaving anywhere between $1 million and $1.5 million on the table in lost earnings over their lifetime," Babcock says. And her figure doesn't even include company retirement contributions, which are also based on a share of salary. Babcock says women often just don't think of asking for more pay. If they do, they find the very notion of haggling intimidating, even scary. "They wait to be offered a salary increase," she says. "They wait to be offered a promotion. They wait to be assigned the task or team or job that they want. And those things typically don't happen very often." In fact, this hesitation might be for good reason. It turns out that when women do negotiate, it can backfire. Babcock showed people videos of men and women asking for a raise, following the exact same script. People liked the man's style and said, 'Yes, pay him more.' But the woman? I tell my graduate students that by not negotiating their job at the beginning of their career, they're leaving anywhere between $1 million and $1.5 million on the table in lost earnings over their lifetime. "People found that to be way too aggressive," Babcock says. "She was successful in getting the money, but people did not like her. They thought she was too demanding. And this can have real consequences for a woman's career." To be clear, both men and women thought this way. Babcock and Harvard researcher Hannah Riley Bowles wanted to find a way for women to ask for more yet avoid this societal backlash. They tested various strategies and found some that do work. Women can justify the request by saying their team leader, for example, thought they should ask for a raise. Or they can convince the boss their negotiating skills are good for the company. The trick, Babcock says, is to conform to a feminine stereotype: appear friendly, warm and concerned for others above yourself. "I gotta say, that was very depressing!" she says with a laugh. Lisa Gates also found herself depressed. She's a life coach in Santa Barbara, Calif., and she helps women create all sorts of plans to advance themselves. But then she finds they just can't — or won't — ask for what they want. A year ago Gates teamed up with mediation expert Victoria Pynchon to teach a course called She Negotiates. They teach coaching sessions via teleconference, honing skills they say are useful well beyond the office. In one recent role-play, a student named Deborah wants to ask her ex-husband for an advance in child support. "Marty, I'm just, I'm wondering how you feel about all this," she says, and then rambles on about a conversation the two had the week before, her insecurities as a parent and a loved one with Alzheimer's. "Stop! Stop!" Pynchon cuts in. "Brilliant opening open-ended question," she tells Deborah. "And then you're uncomfortable and when you're uncomfortable you talk." Deborah admits as much. Pynchon advises her that "the most powerful negotiation tool is silence." Her business partner, Lisa Gates, says women get better with practice, so she gives assignments. "We might have them go out and negotiate retail," she says. "Try to buy a pair of shoes and say, 'Did I miss the sale on this? Is there a sale coming up? I'd like to get the sale price on these shoes.'" 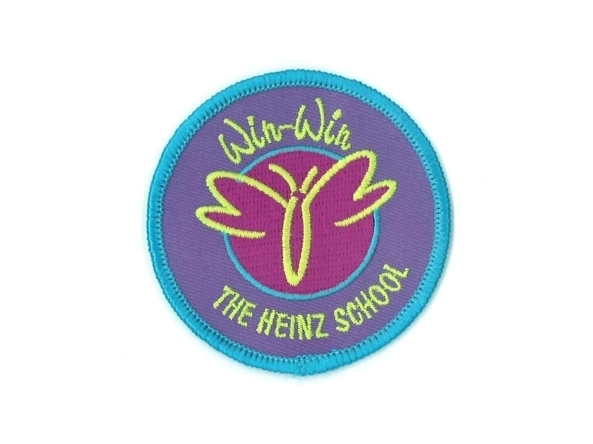 Girl Scouts can carry out a series of 10 negotiations to earn a badge called Win-Win. Trudie Olsen-Curtis had been at the same bartending job for four years when she signed up for the negotiating course. "I had honestly not really thought about asking for a raise before," she says. Olsen-Curtis learned to assess her skills based on their market value. She then worked up the nerve and approached her boss, reminding him she was punctual, honest and loyal. "I felt like I was pretty tough," she says. "Because he kept trying to maneuver around it, talking about the economy, la la la, you know. I had to keep bringing him back to, 'This is the value that I give you.'" It worked. Olsen-Curtis got a 25 percent raise. Researcher Linda Babcock has decided real change must start young. She's launched an effort to teach negotiating skills to girls and came up with this new twist on an old tradition: Girl Scouts can now carry out a series of 10 negotiations to earn a badge called "Win-Win."